Few businesses have the luxury of relocating to an office that has already been fit-out without any disruption at all. Most find themselves working around the contractors while their existing space is refurbished. A modern solution is to have or create a swing space. A swing space is a temporary occupancy for a business, usually during a renovation or new construction project. Being in a temporary space should not put your business on hold. Swing spaces allow the business operation to continue as usual. Your swing space should meet all the requirements of your staff needs. For example, if your employees are required to participate in weekly meetings, the business should look for a swing space that has conference and meeting rooms. It should also include technical connections such as phone lines and the internet. Remember that it is important to keep departments that work closely, together to maintain efficiency and ensure that everybody’s needs are met. Be sure to get a “schedule of works” from your fit out contractor before any renovation work begins. The schedule of works should identify what will happen, when it will happen and what disruption and movements you and your teams can expect as a result. Will my client experience be diminished? If you have suppliers and clients visiting on a regular basis, think about how you can make the experience as welcoming as possible during the renovation. This might be ensuring that two meeting rooms are always in operation, offering tours or ‘sneak previews’ of the work or something as practical as putting cleaning protocols in place for client areas. Will my business hours be affected? If your business is located in a multi-occupancy building, you will need to take into account your neighbours. You may have to consider having certain works completed outside of office hours. Also, if certain aspects of the contractor’s work have to be done during working hours and disruption is unavoidable, make sure your employees have the tools and resource they need to work remotely. 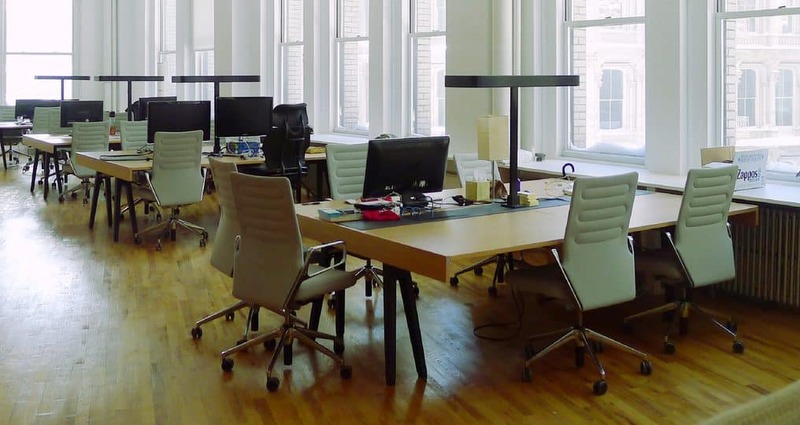 Contractors need space to work, and your teams do too. Think about what materials or files you can put in storage to free up space. If things can be off-site for a short period (without causing disruption), then it is worth considering. You can also use this opportunity to de-clutter your space before the new office space is ready. This process will also make the temporary relocation of departments much easier to manage. Work hard to include your staff from the very beginning of the process. This might involve requesting their feedback on initial design concepts or simply keeping them up to date with the progress of the build. For larger sites, this could include periodic site tours. This will help to maintain goodwill during a period of change and build excitement.